This is a picture of my son. I’ve always been drawn to it. 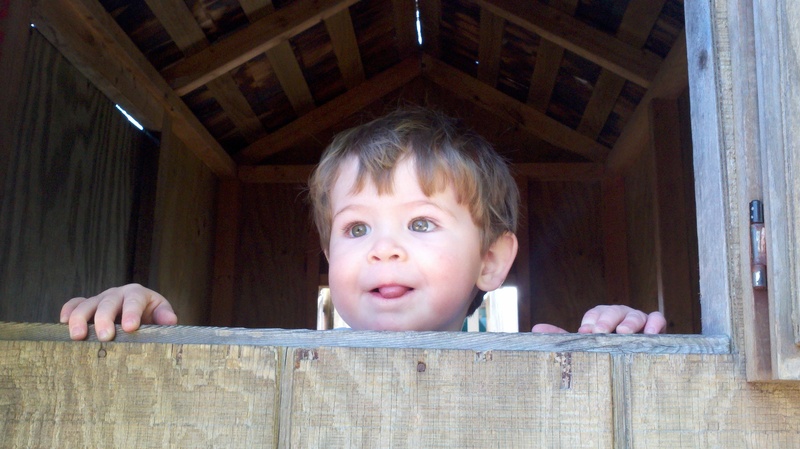 The image was taken during a trip we made to Amish country; he’s standing inside an Amish-made play house, staring out the window at what feels to me like… well, his future. When I asked him at the time what he was thinking about, he was so lost in wonder that he didn’t even answer. I’ll never forget it. I’ve been feeling like this myself lately. As I write this blog post, I am days away from re-launching this website—from stepping out into the world in a new way—and getting to this point has involved a great deal of reflection and introspection. I’ve been asking myself Who am I? and Who do I want to be? and What do I want people to know and think about me? so much that I’m practically doubled-over from staring into my navel. I should not, of course, be surprised in the least. I’ve been helping clients do projects like this for more than 15 years now, and at the outset of every engagement, I’ve always told them: healthy digital communications require a kind of therapy. You have to understand who you are before you engage with people. And yet I still wasn’t fully prepared. The big issue I’ve been wrestling with is how to reconcile, for myself and for others, the work I do with clients as a consultant and the work I do with collaborators as an artist. Although on the surface the two roles seem different, the work I do on the web and the work I do on stage and on film are not (for me) distinct in any substantial way. It’s all storytelling. You get to know your audiences and you craft experiences to engage them. That’s what I do, online and offline. That basic task is the thing I’m absolutely the best at in the whole entire world. And it’s also, I’ve discovered, my raison d’etre. My reason for being. What’s your reason for being (here)? Why’d you click whatever link brought you to my newly-launched site? Perhaps you want to hire me. I have deep experience leading digital projects for arts and culture organizations, individual artists, non-profits, advocacy groups and think-tanks, and the federal government. I can help you communicate clearly and inspire your audiences. You might want to commission or collaborate with me. I’ve been writing—for stage and screen and blog (and even print)—for my entire adult life… and a great deal of my childhood as well. (I wrote public access television shows for the Baltimore County Board of Education when I was 15!) There are still definitely unnumbered stories left to tell. Or maybe you want me to speak, live and in person. Among my greatest joys, in recent years, has been crafting and delivering TED-style lectures… even, in fact, for TED events themselves. In the last few months alone I’ve spoken at both South by Southwest and the Dramatists Guild national conference. Maybe your event and your audience might be next? Or, hey: you might just want to rabble-rouse with me. I spend more and more time lately organizing playwrights (in several different ways) and advocating for gender and racial parity in the theater. They’re good causes. I’m not alone—not at all, by any means—in standing up for them, but the good fight can always use new energy and ideas. Want to plan an evolution? What I really hope you do, though, more than anything, is just get to know me. (If you think you already know who I am, maybe you’ll take a second look? I might surprise you.) And then, if you’re compelled by what you learn, please reach out to me. My future, after all, is wide open. And you know what I see out of my own play house window? THIS.